The February 2015 Bar Exam: The Thanksgiving Weekend: Do You Know Where Your Bar Exam Books Are? Sign up for our Small Group Workshop/Seminar in Miami and in Albany, NY at www.barprofessors.com. For those who must retake the bar exam in February 2015, this weekend must be the time to pick up your bar exam books and start studying for a successful bar exam result. You have 3 months to get up off the floor, find a new attitude and tell yourself you will pass this time around. The State Bar of California’s Committee of Bar Examiners reported that 48.6 percent of the applicants passed the July 2014 General Bar Examination (GBX). Preliminary statistical analyses show that of the 8,504 applicants who took the GBX, 73.1 percent were first-time takers. The passing rate for the 6,220 first-time applicants was 61 percent overall. The passing rate for the 2,284 applicants repeating the examination was 14 percent overall. From the numbers stated, it is clear that the repeat takers tumbled down to record lows. Repeat takers absolutely must get a Bar Professors’ tutor to help them pass. Sign up for our Small Group Workshop/Seminar in Miami in December and in Albany, NY in December at www.barprofessors.com. 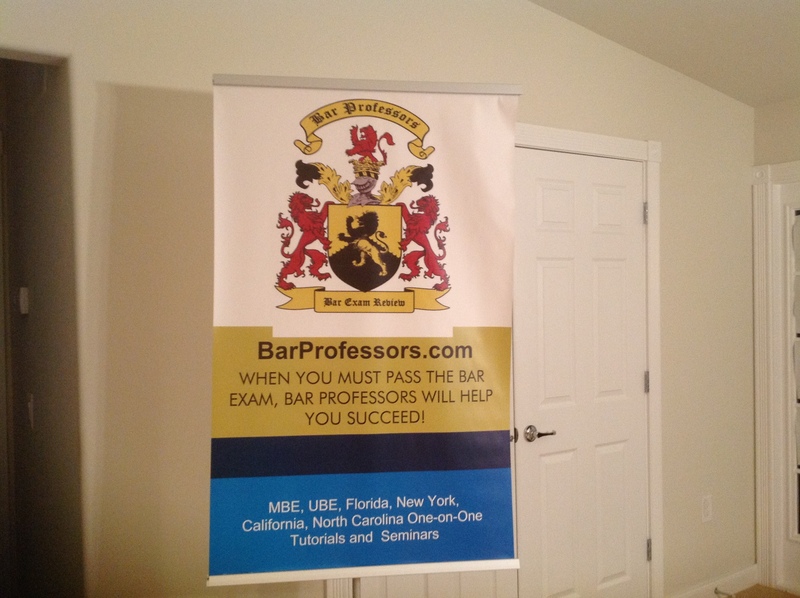 Bar Professors will be holding another MBE Seminar in Miami this weekend. This two day seminar is for anyone wanting to improve their MBE scores. We will also be discussing Federal Civil Procedure and how it will be tested. See you in Miami! You are currently browsing the BarProfessors'Blog - UBE,MBE,Florida,New York,North Carolina Bar Exams blog archives for November, 2014.